Every time you are on the road, regardless of your mode of travel, there is a potential for an injurious accident. Bicyclists are much more likely to be seriously injured in a collision than occupants of cars or trucks as a bike offers scant protection from a forceful impact. Even low-speed crashes can result in major injuries for someone on a bicycle. It’s true that most crashes are the result of some type of negligence, meaning one or more of those involved breached their duty to use reasonable care on the roads. Enforcement of speed limits, anti-distracted driver laws and impaired driving statutes is important. But another effective way to reduce the odds of a serious bicycle accident is to invest in good traffic safety infrastructure. Well-designed bike lanes are an integral part of this. 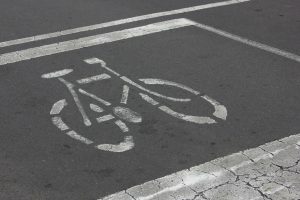 As explained by the National Association of City Transportation Officials, a bike lane is a portion of the road designated by striping, signage and pavement markings that give bicyclists preferential or exclusive use. The goal is to create some degree of separation between cyclists and motor vehicle traffic so those on bikes can ride at their preferred speed without worrying (too much anyway) about conflict with motor vehicles. It creates better predictability of movements between both drivers and cyclists. Bicycle lanes are a relatively new introduction to traffic infrastructure. When they were first installed, it was viewed as highly progressive, and cities like Boston and Cambridge, just across the Charles River, were on the forefront of that. Today, the City of Boston has a comparatively large network of conventional bike lanes (4-to-6-feet wide and along the curb or next to car parking). However, we can’t stop there, particularly considering the fact (reported by the Boston Bike Network Plan) that we saw an 82 percent surge in bicycle commuting in Boston during a recent three-year time frame. Improvements should be consistently evaluated and implemented. One of the main issues deals with not only having bike lanes, but the placement of bike lanes. As an experienced Boston bike accident lawyer can explain, there are far more accidents involving cyclists on the passenger side of an at-fault driver’s vehicle. There are several reasons for this, but much of it comes down to reduced visibility of cyclists on the passenger side of a vehicle. There is a bigger a blind spot for drivers on the passenger side than the driver’s side. Regardless, it is still the driver’s responsibility to check their blind spot and make sure it’s clear of other vehicles, cyclists and pedestrians before changing lanes or making a right-hand turn. Although cyclists may be harder to spot than a sport utility vehicle, it is nonetheless the cyclist’s right to be on that part of the street. This right is established in the motor vehicle code sections of the Massachusetts General Laws (M.G.L), specifically in Section 11B of Chapter 85, which states cyclists shall have the right to use any public way so long as it is not a limited or express state highway or a posted sign prohibits cycling on that stretch. To look at some real-world numbers of bike crashes which involve bicycles in blind spots – including right-hand turn accidents, we can turn to the National Highway Traffic Safety Administration (NHTSA), a division of the U.S. Department of Transportation. According to NHTSA, not only do these crashes account for a substantial number of all bicycle accidents resulting in serious injury and death, they are more likely in situations of reduced visibility. That’s why they’re more common at night. Approximately 20 percent of a fatal bike crashes occurred in the hours around sunset between 6 p.m. and 9 p.m.
One city which is trying to improve the placement of bike lanes is Philadelphia. According to a recent news article from The Inquirer, a year following the high-profile death of a bike rider who was traveling legally within a right-side bike lane, the city is working on the possibility of moving bike lines from the passenger side to the driver’s side of vehicle travel lanes. For those who do not spend time thinking about bike lanes and bike rider safety, it may seem like an odd concept to have bike lanes in what is essentially the middle of the road. After all, the reason bike lanes are generally on the passenger side of vehicles is because of the old maxim stating slower-moving traffic should keep to the right so other cars can pass. While there is some logic behind this, as well a genuine desire to keep traffic moving, this arrangement is not in the best interests of bike riders. This makes sense when we keep in mind cyclists individually or as a group are not some nuisance which must be mitigated, but road users invested with the exact same rights and responsibilities as any other road user. Having a bike rider on the left side of vehicles means they are going to be more visible and less likely to be in a serious or fatal bike crash in the Greater Boston area. Not only that, but there are far fewer accidents involving left-hand turns. First, there is no such thing as a tight left turn unless a driver is going from a one-way street to another one-way street by making a left turn. There is a long-left turn, but there is not a long right turn. Simply moving the bike lanes to the left side of the street would go a long way. Another thing that can make bike lanes safer is to go beyond simply painting lines on the road and construct a physical barrier separating cyclists from motor vehicle traffic. This can be a true barrier such as the ubiquitous Jersey barriers or it can involve breakaway style poles made from recycled plastic and rubber. If there is some type of physical barrier dividing a left side bike land from the vehicle travel lanes, it is much less likely a driver will hit a bike rider as there is much better visibility and lane position awareness.